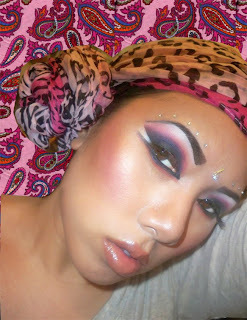 So I got up my video tutorial on the Arabic look I did a while ago. I don't usually read comments on my YouTube wall because I try to keep positive and not let the haters get me down but I happened to peruse them yesterday. I've changed the title of this video three times to make my viewers happy. You can't please everyone, lol. I'm shy of 20,000 subscribers on YouTube and I think i'm going to slow down with videos for a while. I'll still do them every week, maybe not twice a week on a deadline like I used to. Enough rambling, check out my video! 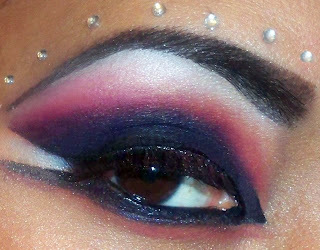 you always do the most beautiful dramatic eyes!! Too cute Ren- Great job. you can't please everyone, only yourself. haters are stupid, and there are a lot of stupid ppl on yt these days. 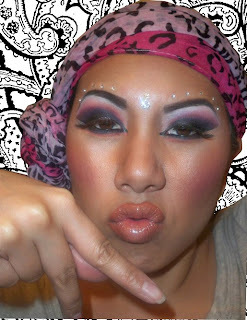 anyways, love the bling above your brows, totally awesome! Gorgeous! Eyes, lips, everything looks flawless. It looks fantastic ! Wish I could do that .. HAHA ! this is crazy! you make it look so easy..
hhaha well i guesss that's the point of a tutorial right? I really loved this look the first time I saw it. It's so precise. This is the hotness Ren!